There’s a monumental decision coming soon. Not one to decide the future of the nation, such as the midterm elections, but about an actual monument. The monument is Silent Sam, the statue dedicated to University of North Carolina students who fought in the Civil War that was pulled off its pedestal on the UNC–Chapel Hill campus by a mob of protesters on August 20. The day after, the UNC system Board of Governors passed a resolution that charged UNC-Chapel Hill chancellor “Carol Folt and the UNC Board of Trustees members” to “formulate a plan for Silent Sam’s future by Nov. 15.” On November 9, the Governors extended the deadline for Folt and the Trustees—perhaps until the next Governors meeting from December 12-14. 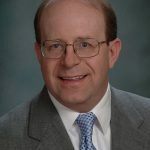 The decision is an important one, with major political implications for the state of North Carolina and for Carol Folt. No matter where she puts Silent Sam, some constituency will be angry. The real question is whom she chooses to please with her decision—and whose beliefs she dismisses. It is even possible she will not satisfy anybody. Silent Sam’s presence on the UNC campus has been a hot-button issue for a long time. A year ago, a mob of roughly 800 people was held off from pulling him down. The university spent roughly $390,000 in security costs to protect him in the last year. The day before the protest, Folt and Margaret Spellings, the president of the UNC system, sent a letter to North Carolina governor Roy Cooper, asking his advice about the possibility of moving the statue. This angered a majority of the UNC system board members, who responded with a letter of their own, decrying the “weakness” and “handwringing” exhibited by Folt and Spellings concerning how to deal with potentially violent protesters. Our campus was not properly protected, it sure did not look so, by the police…How in the world, this statue, which we’ve spent about half a million dollars to protect, was allowed…why they moved the protection, the screening from around it, then allowed all of these individuals, to put up bamboo poles and shield themselves as they unscrewed the appliances that held the statue in place and then tore it down. It’s absolutely outrageous. Within a few days, the Chapel Hill police department released text and emails proving that police chief Chris Blue instructed his officers to stand down and let the mob do whatever they wanted. Usually, it is the UNC police who take the lead when municipal, state, and county law enforcement help out on campus. UNC officials denied they gave any such order to stand down, but so far, not all emails between top administrators and the university police have been released. According to WRAL, emails were produced that showed Winston Crisp, the vice chancellor for student affairs, expressed “hope that the protesters would tear down the statue” shortly before it actually happened. A few days after the riot, counter-protesters appeared, placing flowers on Silent Sam’s former pedestal, marching with Confederate flags, and demanding his restoration. Members of the original mob showed up, and there were several violent clashes. A total of 24 people have been arrested in conjunction with the August 20 riot and subsequent protests. So far, they have escaped punishment—and they are not likely to receive much if the recent past is any indication. Maya Little, a doctoral student in history at UNC-Chapel Hill, who was arrested earlier this year for pouring a mixture of ink and blood on the statue (and on a police officer’s body camera), was found guilty of a misdemeanor charge for defacing the statue—but was not given any punishment by the Orange County court. Another controversy erupted during her student court hearing when she received nothing more than a letter of warning and 18 hours of community service as punishment. Little and other protesters marched out of court, claiming that one of the jurors was biased against her. Two of the more recent Silent Sam protesters accused of assault already had their hearings on September 20th—and were essentially exonerated. One had his charges dropped outright, and the other’s conviction will be expunged if he completes 24 hours of community service and stays conviction-free for six months. Most others had their hearings postponed until November 5th—and then postponed again to December 10 and beyond. And, remarkably, Dwayne Dixon, a lecturer in the Asian Studies department at UNC-Chapel Hill, continues to teach two courses after being arrested for assaulting a conservative journalist at the August 20 event. Dixon was previously cited for carrying a loaded firearm during a protest in Durham. Then Civitas, a Raleigh-based think tank, released a survey that showed 70 percent of state residents were upset at the statue’s illegal removal. Folt cited the study as a reason for restoring Silent Sam to his original position, but then returned to her earlier position that the statue should be erected somewhere on campus, but not in McCorkle Place. Clearly, Folt is caught between a rock and a hard place. Whichever decision she makes, some important faction will be angry. Much of the state is already upset that violent protesters are let go entirely or given mere wrist-slaps—this amounts to sanctioning mob rule. Of course, the verdicts of the Orange County court, which handles the criminal charges against protesters, are out of her hands. 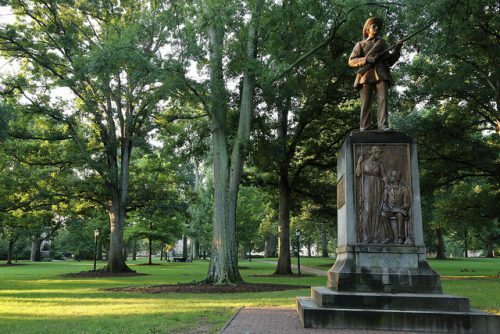 But if Silent Sam is sent packing or banished to some dusty, out-of-the-way alcove, it will appear to many that she is handing the keys to the campus to those who reject the rule of law. On the other hand, if she returns Sam to his former home on McCorkle Place or some other equally prominent spot, the mob will likely try to pull him down again. So what are she and the Trustees supposed to do? The moral question of whether Sam should be restored to his prior perch can be debated ad infinitum. But getting past that, the basic issue clearly becomes the conflict between mob rule and civil society. And it is hard to justify mob rule without some near-absolute moral imperative—such as the overthrow of a tyrant—which is lacking here. The state of injustice the mob claims as validation has been over for many decades. The rule of law must be defended. On the political and practical levels, Folt may be tempted to appease the protesters just to quiet them down and put this incident in the past. After all, they are the ones making all the noise, and they have the backing of the campus and surrounding community. She will become a pariah among the faculty and other campus factions unless Sam is removed or condemned to oblivion. But the university belongs to all of North Carolina. Furthermore, a decision to submit to the mob will not just quietly disappear. Giving in to them will drive a wedge into the ever-widening ideological divide between the general population and the university system. And that could be bad for UNC: Why would taxpayers and alumni want to fund an institution that treats civil society and tradition with such contempt? And the mob will never be satisfied even if they get what they want. First of all, the attack on Silent Sam is not some spontaneous gathering that arose to address an unjust situation. Rather, it is part of a permanent ideological movement of radicals living in Orange and Durham counties, and Civil War statues are merely vehicles for them to assert power and intimidate opponents. Orange County has been no stranger to left-wing political violence in recent years. And they already taste blood; another victory will embolden them further. Today, it’s Silent Sam, but tomorrow it may be students, faculty, or anybody else who disagrees with them. The decision about Silent Sam may very well be the defining one for Folt’s tenure at UNC—she may not survive as chancellor for long either way. But the best decision, for the long run, is clearly a hard line against those who favor violence over civility. It’s time to defy the mob, not cave in to them.